The best machines and the most skilled technicians. We've been doing this for over 30 years and it shows. Have 20 minutes to spare? Get a free wax while you wait. 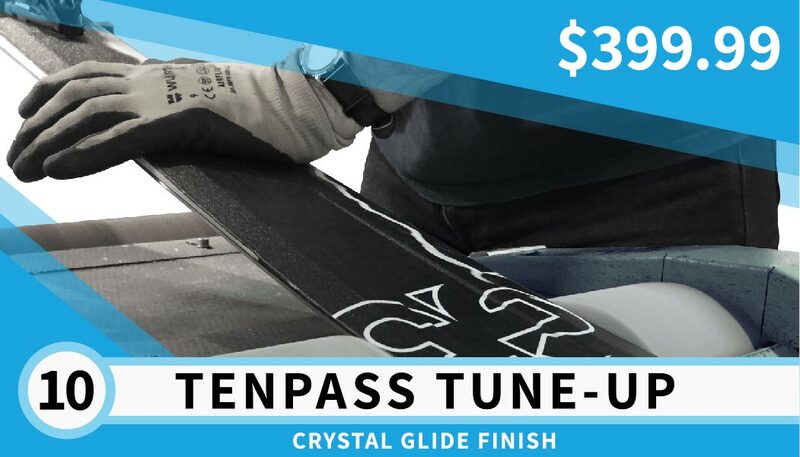 Have lots of skis that need tuning? Get one of our best selling passes and save. Prices listed below. 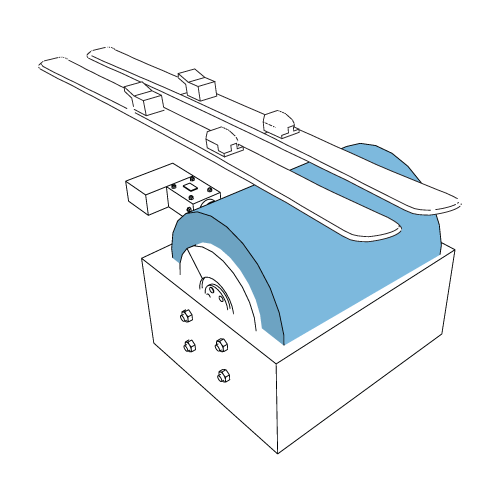 An extra wide grinding stone allows the robot to tune a pair of skis or one snowboard at a time. This process takes off a very fine layer of base material, cleaning minor scratches and printing a glide-enhancing structure in your base. 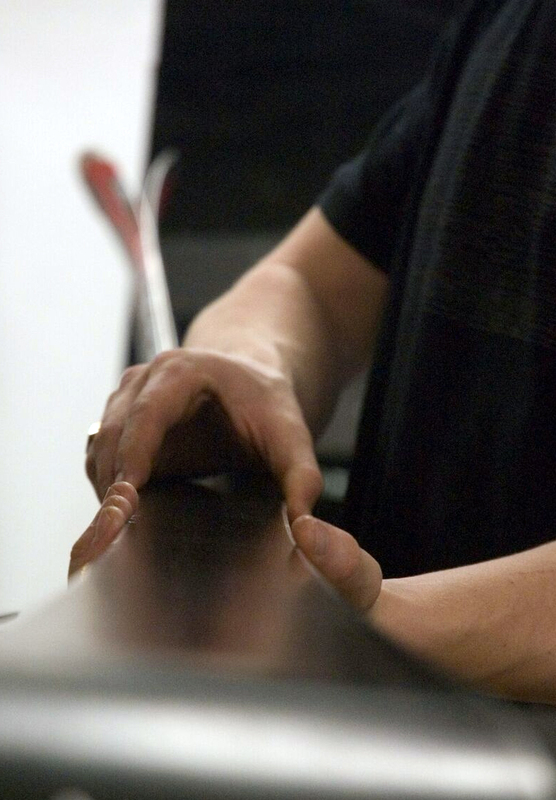 Remember that texture the base of your skis had when they were brand new? With the MONTANA robot we can bring old bases back to life. 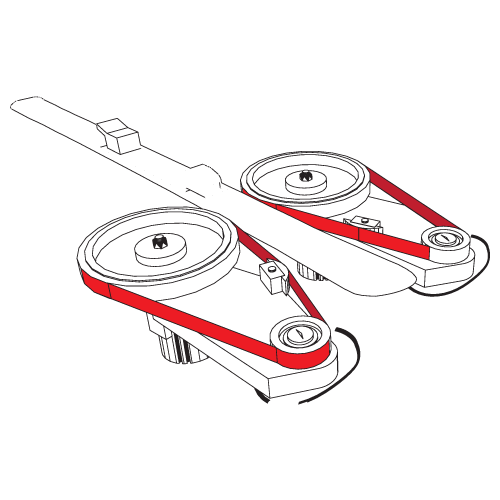 The MONTANA's next generation measurement and guidance systems allow its tuning side edge belts to engage at the precise position, angle and pressure, in order to take off the correct amount of material. 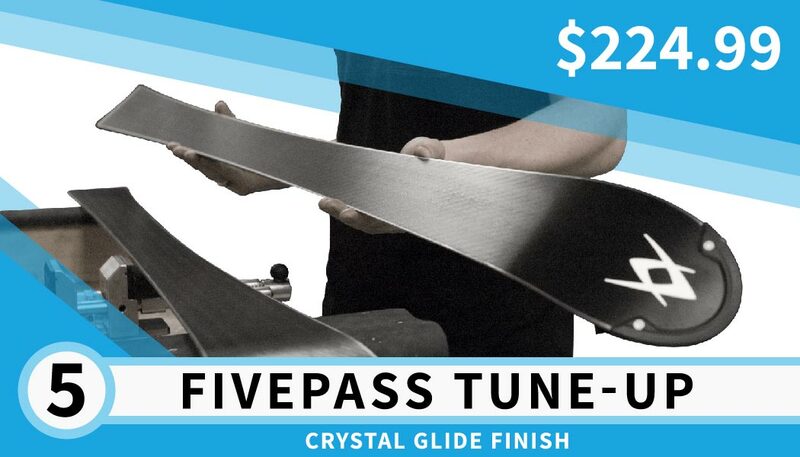 This gives your skis or board the right amount of edge hold necessary for those icy spots on the hill. 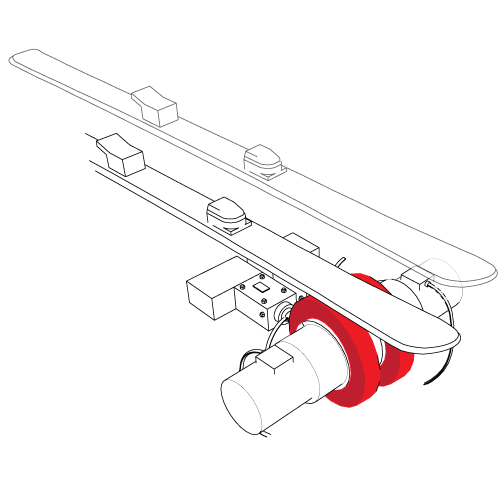 Using a diamond bedded stone, the base edge is polished the full length of the ski at the desired bevel angle without burring the edge. The result is precision down to a tenth of a degree. 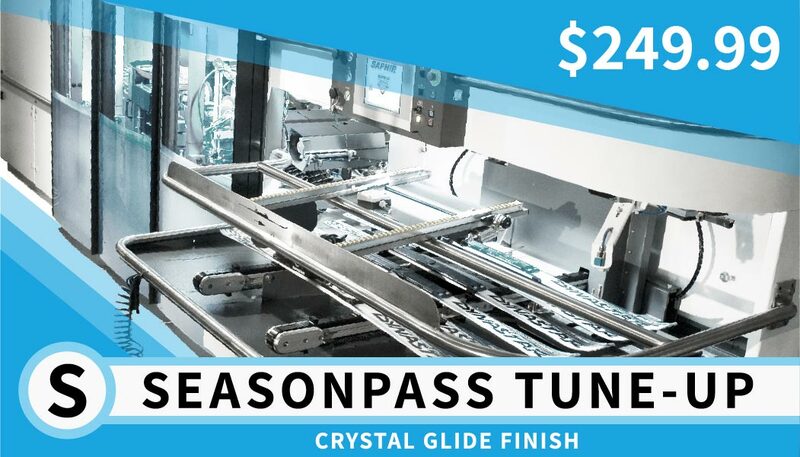 We offer a radial tune, which means that the angle of the edge where it contacts the snow is 0.7° at the tip and 1° underfoot for optimal performance. Find all the tools you need to do it your self. If you want to learn, join a clinic, held on Tuesday nights. 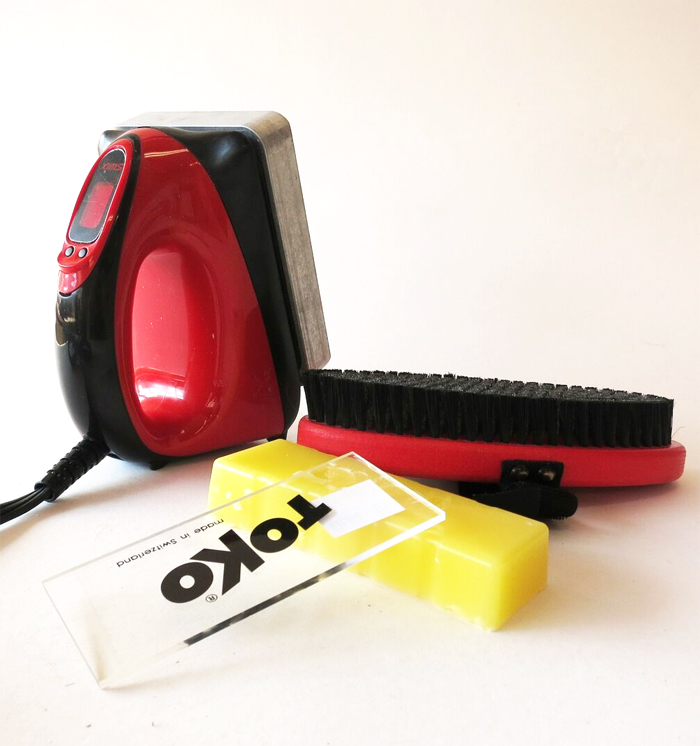 You only need a few essential pieces to get you started: iron, wax, scraper and brush. Start your home kit today. Montana Saphir, First in North American, the only in Ontario, now in Collingwood. Snow Cruiser in Don Mills and Mississauga. MONTANA from the Swiss Alps has been perfecting machines for decades.